Without doubt, this is your perfect transatlantic fun quest. Fall for the Caribbean’s sun-filled destinations and seek out some hidden gems. Touch down in beautiful Barbados, then, head on to a string of sparkling island gems. Your first call… sunny St Lucia with its dramatic mountains. Onto Antigua’s balmy beaches and charming St Maarten. Pick up a bargain in bustling markets or sample the seafood delights before heading back over the Atlantic on a crossing filled with happy days and fun nights at sea. 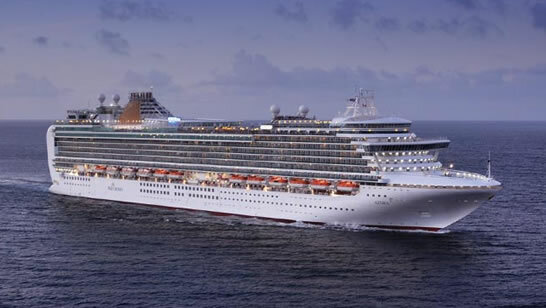 You’ll stop in at the Azores en route for a final flourish before returning to Southampton. Book today call free: 0800 849 1245. Cabin upgrades are available at a supplement. To book this offer, or for more information, just call us on 0800 849 1285, quoting reference number 260173.